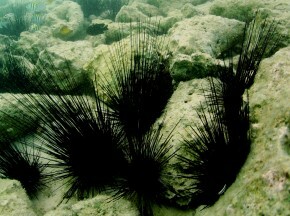 This is the Long-spined urchin (Diadema antillarum). 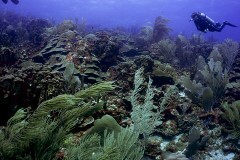 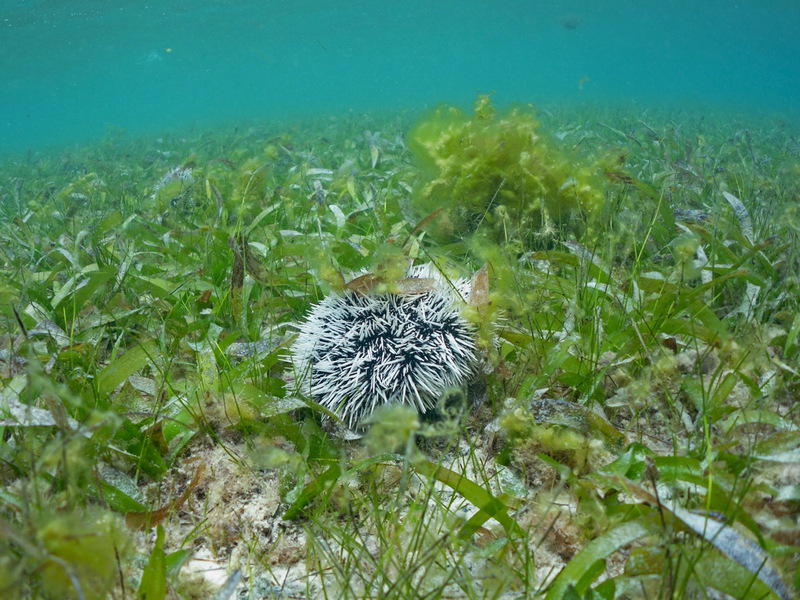 We are aiming to acquire information on the current status of this urchin throughout the Caribbean. 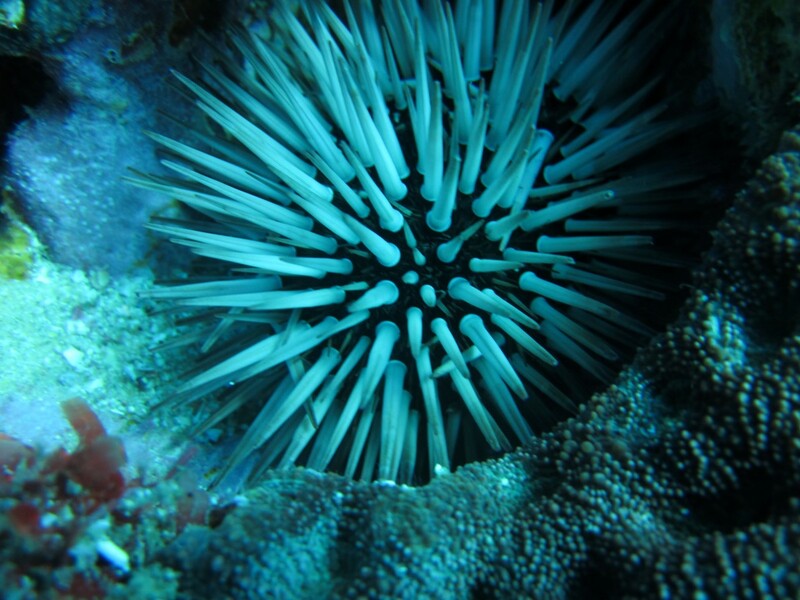 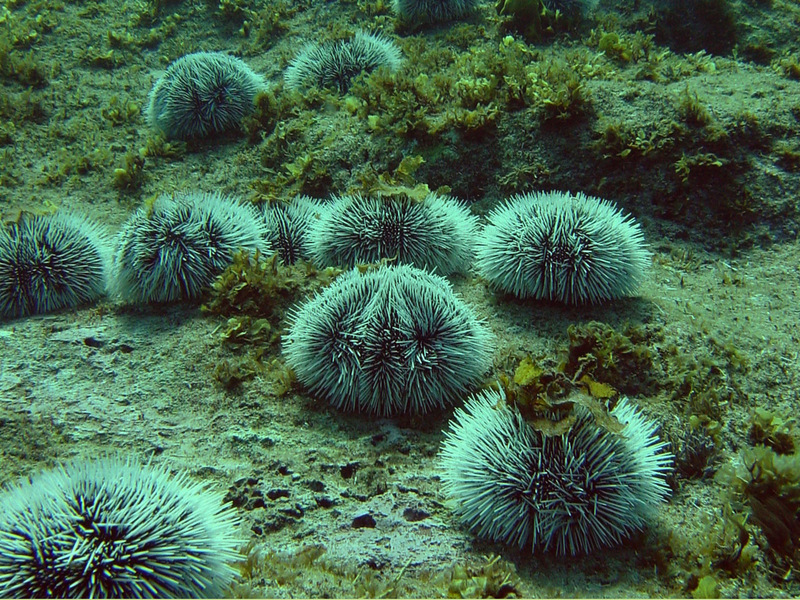 By answering this questionnaire, you will help us gaining information on where and how many Long-spined urchins are currently present on coral reefs. You can participate in our research by clicking Report your sightings. 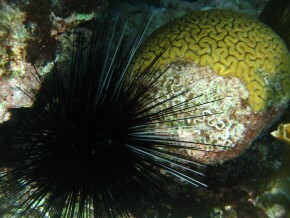 D. antillarum is characterized by its exceptionally long spines, and is generally found in crevices between 1-10 meters on coral reefs. 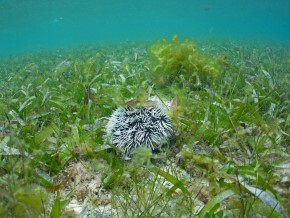 However, they can also be found inside tropical lagoons, inland bays, and intertidal areas. This species has experienced a major die-off in the early 80's throughout the entire Caribbean, which is unfortunate, since D. antillarum is the most important herbivore throughout the Caribbean. 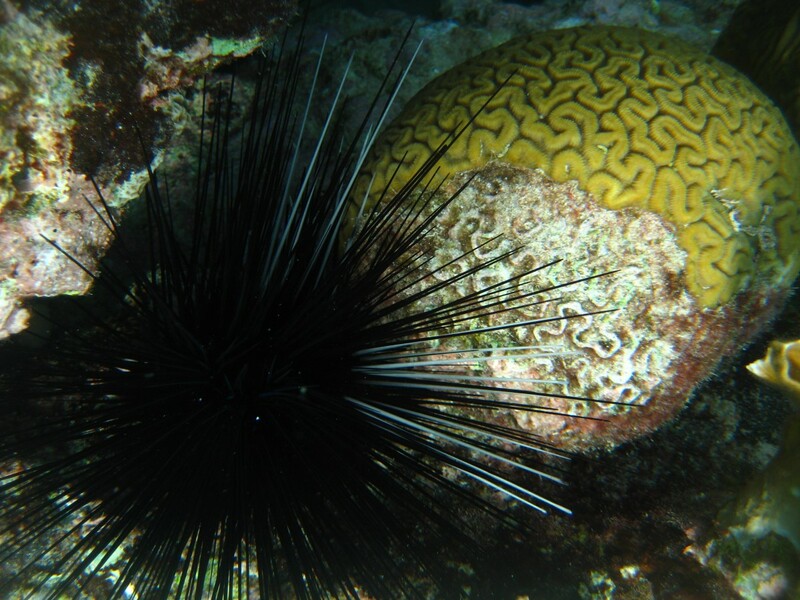 Study the pictures below to see the differences between D. antillarum and other urchin species you may encounter. 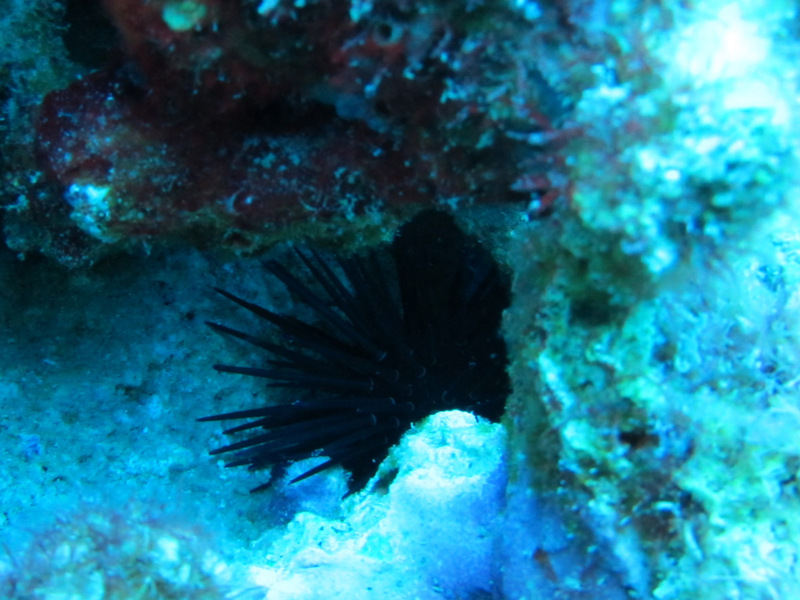 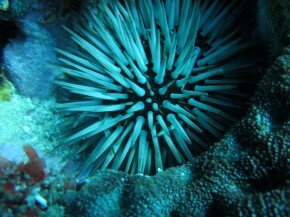 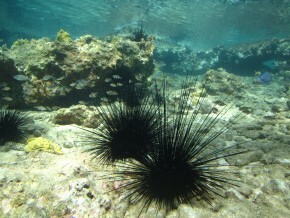 D. antillarum is not the only urchin that occurs in the Caribbean. 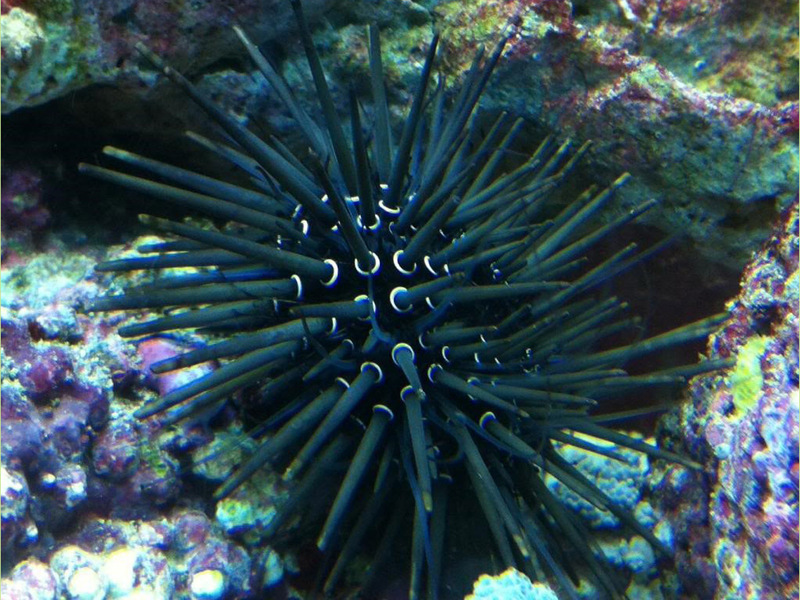 Please be sure you are reporting only on the Long-spined urchin, D. antillarum. 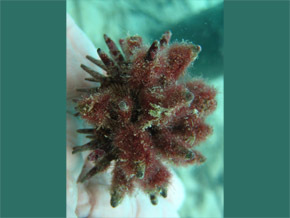 The pictures below are examples of D. antillarum. This is the only species you should report on. 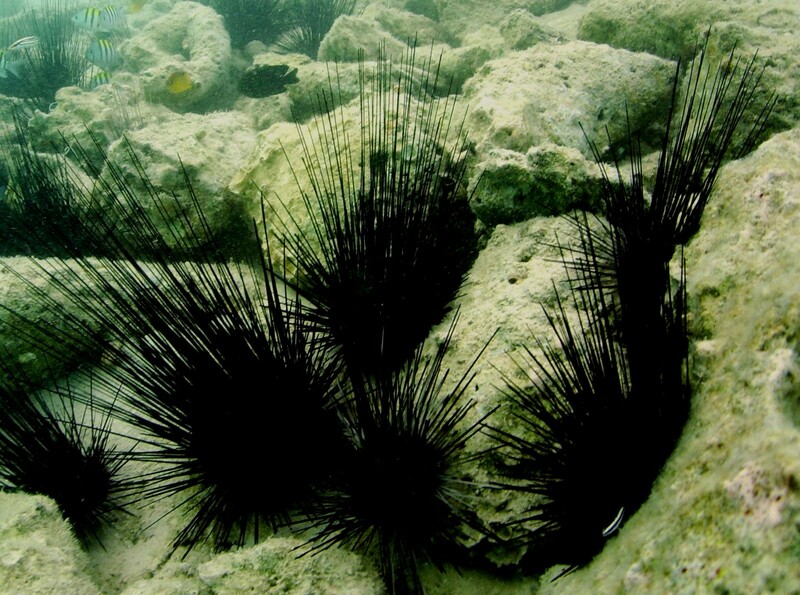 The pictures below are examples of other urchins that you may encounter in Caribbean waters. 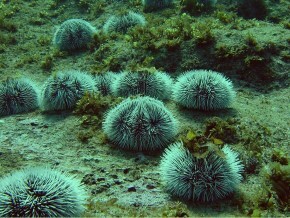 These are not species you should report on.